This one isn’t on my summer reading list, but I want to make a quick note of it because I have a couple of students each year who want to read something with vampires that doesn’t fit the teen ‘Twilight’ mold. These students are happy to read a longer book and are looking for some serious vampire lore. Well, it’s been a few years since I read The Historian, and while I don’t remember many of the details (ah, aging! ), I can tell you that it’s the perfect book for those students who want to read something that encompasses the vast store of vampire mythology. 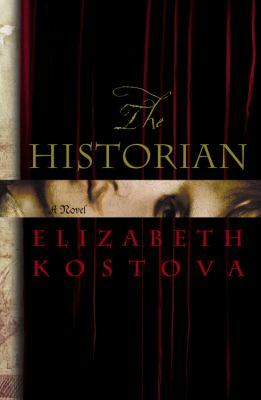 The Historian centers around a sixteen-year-old American girl in the 1970s whose father is a diplomat and travels a lot, leaving her with a caretaker in Amsterdam. (Her mother is dead. And although I’m calling her ‘the girl,’ that isn’t just because my memory is bad. She remains unnamed.) One day she discovers a weird journal in her father’s paper. It has nothing written in its pages, but it does have a strange dragon image on the first page with the word “Drakulya” imprinted there. With it is a packet of letters. She begins to read, “My dear and unfortunate successor…” Right then, she knows that her dad has a second, secret life, that he is in constant danger and that he has been protecting her from the truth. Basically, when her father tells her how he got the journal and how it has affected his life—it appears that his own mentor, history professor Bartholomew Rossi, was killed over it—she starts a trip across Europe seeking out the historical and cruel Vlad the Impaler. And she has to go it without dad because he mysteriously disappears (as did Rossi years before). However, she isn’t entirely alone; she has a companion (and romantic interest) to help her. The novel will take you through all the folklore that causes people to associate the real Vlad with the preeminent vampire Dracula (and tell you all the horrific stuff the historical Vlad actually did to people—they didn’t call him the Impaler for nothing). One of the most important things that she has to do is figure out whether Dracula is still alive, not an easy task. If he is dead, where was he really buried? She tracks down all the places that legend says he has been interred. Did someone really cut off his head? This novel is as much a mystery as it is a book of the supernatural. Reading it, you’ll become engrossed in the heroine’s search as she uses research, maps, old manuscripts—anything she can find—to go from city to city throughout Europe in her quest for Dracula and to find out what happened to her father. Generally, I review books that have wide appeal, but I needed to add this because it is such a ‘big’ story—large scale, romance, gothic/horror, intense vampire lore—that it’s perfect for the two or three of you each year who seek just such a novel. And, hey—one of the details that I do remember is that it has a truly evil, living-dead librarian. Enjoy. This entry was posted in Fiction, Historical Fiction/Historical Element, Horror/Mystery/Suspense, Over 375 pages, Romance, Supernatural and tagged vampires. Bookmark the permalink.